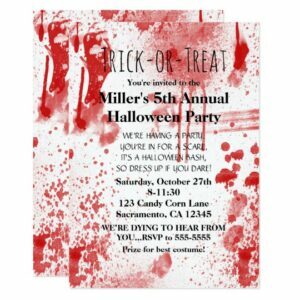 Custom invitations and response cards for weddings, parties and holiday celebrations with new and vintage art. 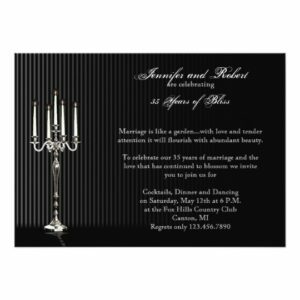 A collection of invitations perfect for celebrating your wedding anniversary. 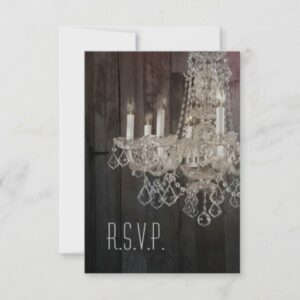 Rustic barn wood chandelier wedding collection,vintage barn wood wedding invitations,vintage barn wedding invitations,vintage chandelier wedding invitations,vintage wedding invitations templates,rustic vintage wedding invitations. 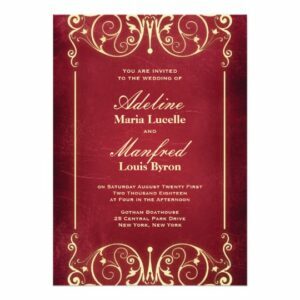 vintage country wedding invitations. 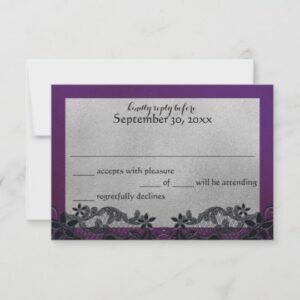 Gothic damask print in purple and black wedding collections. 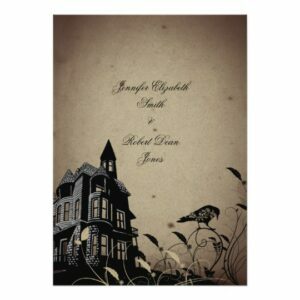 This beautiful and elegant design, called Vintage Gothic House Wedding, has a taupe or almost sepia colored background. In the lower left corner there is an illustration of an old Gothic house illustration. To the right side there are flowers and vines and a raven illustration. 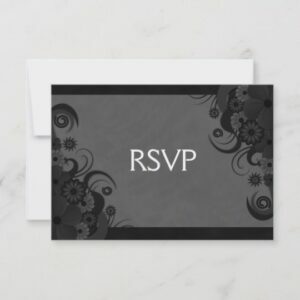 This would be perfect for your wedding or event! 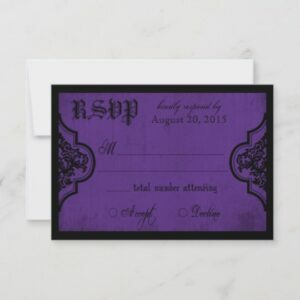 Black floral lace like design over dark purple with accents of silver gray. 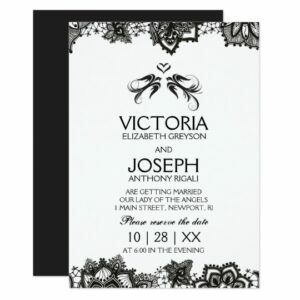 Non traditional and bold color wedding invitation set. 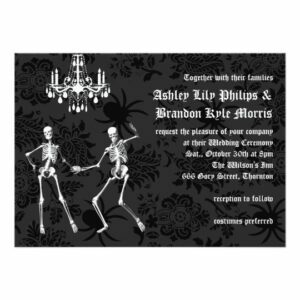 Gothic skull couple – gays wedding invitation suite. 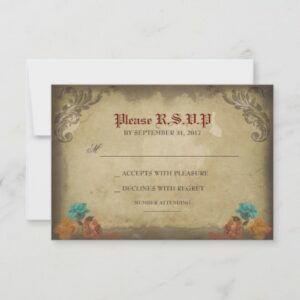 This is a collection of eerie, gothic and rustic Halloween Wedding Invitations, accented with burlap, linen, spiders, damask, bats, crows and ravens. 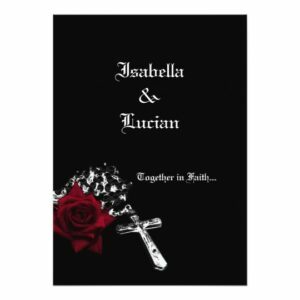 © Sunny Mars Designs – Elegant, modern, stylish, classy, trendy, chic customizable black and gray wedding invitation suite or stationery set with a beautiful illustration of a gorgeous Gothic black swirly floral tropical hibiscus design against a dark grey background. Choose which item you would like to customize online. 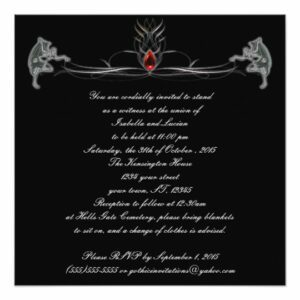 This suite is preferred by couples with gothic, tattoo, medieval, renaissance or Halloween wedding themes. 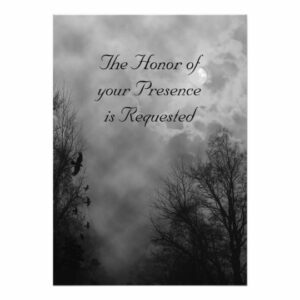 This design is beautiful printed on pearl shimmer stock. 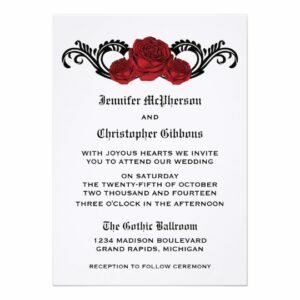 © Sunny Mars Designs – Elegant, classy, trendy, chic, stylish, modern, customizable red and white Gothic wedding invitation suite or stationery set with a beautiful illustration of a gorgeous Goth dark red, crimson, ruby, maroon or burgundy swirly floral tropical hibiscus design against a bright red background. 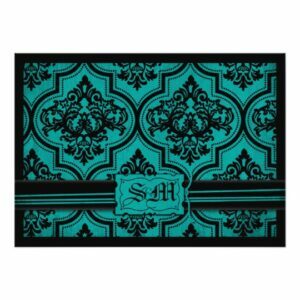 Gothic damask print in teal and black wedding collections.